It’s still way too cold for me up here on the Highveld! The battle of pro-nature civilians against their anti-nature leaders continues in the US. Isn’t it depressing to realize that those who are elected to act in your interest will often do the exact opposite once they are in power? But then again, if dullards constitute the majority, even if only by a small margin, you just can’t win. And this is what bipedalists like the Horror Clown can and do count on. Just read what his administration has in mind for the last 40 Red Wolves, and basically all wildlife, and try not to puke. On the home front, it was with great shock when we learnt that there had been another brutal attack on a game farm’s big cats. There seems to be a syndicate at work here, and it wouldn’t at all surprise me if some impotent East Asians were behind it, making use of the virtually inexhaustible supply of unscrupulous criminals we have in our wonderful country. Find the short write-up in the News section under Other News, National. We have an update on the wolves in California this month, which makes for interesting reading. 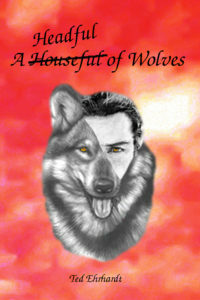 We also have another wolf tale. What we don’t have this month is news from Erin, but then again, her fingers are as stiffly frozen as are mine. That’s why I keep it short this time. Life goes on out here, nothing much changes. We’ve had a volunteer Kim Dijkman from Holland out here helping in a big way over the last six weeks; she left us on the 3rd of July but has promised to come back from mid-August for another six weeks. Kim has taken on a few responsibilities around here, cleaning up around the containers, which was becoming a bit of an eye sore. She has also put a lot of effort into getting the volunteers room ready; we have purchased two double bunk beds, one mattress and three to follow as we can afford them. Niska and her eight puppies are doing very well. 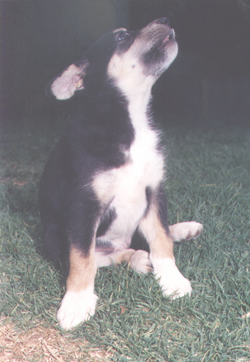 The pups are adorable, pictures can’t even describe them, they are little characters each in their own right. We’ve been going for well over ten years now and a lot of our original fencing is sagging; we are not asking you for money but we do need a lot of funding. One idea is five hundred people donating R50 a month – what can fifty Rand buy you nowadays, but there’s a lot that we could do with twenty five thousand Rand every month. Winter’s got us in our grip and I think a lot of us can’t wait for summer. Luckily we had a very nice sunny day at Fantasy Fayre. What a truly amazing day! Alter Egos -Meryl & Dayle, really went all out again and a huge thank you to them for inviting HuskyRomi Wolf Sanctuary to be a part of this magical day! We enjoyed every moment and such a bunch of happy people that attended the Fayre. Thank you to each and everyone who stopped at our stall to learn more and to support the sanctuary. Special thanks to Francois & Laurika for the help in setting up, Frans who delivered some new goodies, Debbie for bringing her soaps, Retha and Carlien for the visit and ongoing support, Mariska who stopped by to learn more and ended up spending a few hours helping out, Ryan & Bryan for being “wolves” for the day, Draco for giving all his treat donations to the sanctuary, Dianna for bringing Skylar/Boy and Silver for a visit and of course Jacques for always supporting. Some photos taken on the day. Hope to see you at the next event! I finally received a photo of the winner of the Air Brush raffle from Geekfest 2017. Congratulations Mark! Looks like it found the perfect spot. Finally decided to give a Rockwood Fundraiser another try (same as Barnyard). We are planning it for the 12th of September for the Jukebox Hits show. More details and how to get your tickets in next month newsletter. If you have any ideas or donations for the markets please get in touch with me. Contact Nolia on FB, email to nolia@pentasure.ws or message to 0726221764 for any further assistance. the animal that you chose to sponsor. We are always living on the cheap out here, our pick-up blew the motor and we found a 2nd hand engine, it runs but burns a lot of smoke/oil and we’re not sure how long she will last. our best with what we have. I know you share my love for wildlife. And you’ve been an important ally in protecting wolves, grizzlies and other wild things we love. What will happen to wolves in the lower 48 when stripped of all Endangered Species Act protection? What will happen to dwindling African elephant populations when the doors are thrown open for importing illegal ivory? What will happen to polar bears and other animals when the Arctic National Wildlife Refuge and other precious wild habitats are opened for drilling, fracking and mining? But there’s still time to stop this! It’s critical that we make it clear to the Trump administration that we’re not backing down from Mexican gray wolf recovery! Please, tell the Trump administration that more Mexican gray wolves MUST be released! 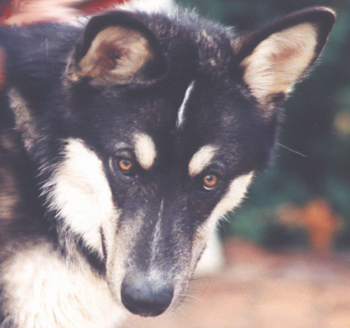 Thomas, 30 years ago when the red wolf recovery effort launched it was destined to become a model for recovery of wolves across the U.S. 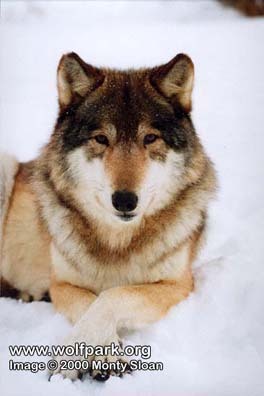 The once nearly extinct population took root and grew to 150 wolves. But ever since anti-wolf extremists mounted an anti-wolf campaign, numbers have fallen. I am sure you have already heard about the incident in southeastern Poland where a wolf is believed to have attacked two children and a woman. The animal was shot dead, and the media had a field day with facts again not playing a role. There were even voices demanding the killing of the whole Polish and German wolf population. 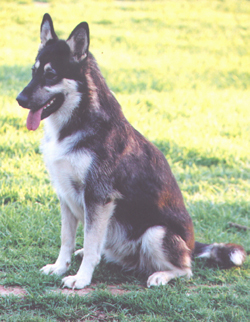 Now it turns out that the supposed wild wolf could also have been a wolf-dog that was kept in a kennel. The hunt for the wolf must end and the media must eventually accept their responsibility of a neural and factual coverage of the topic wolf. It seems that many publishing houses and broadcasting corporations only focus on the wolf and are eagerly waiting for a wolf to do something, which he, according to their opinion (which is the opinion of many lobbyists and politicians), should not have done. But the incident in Poland also shows that often the humans are the guilty ones, provoking such incidents through wrong behavior and egotism. 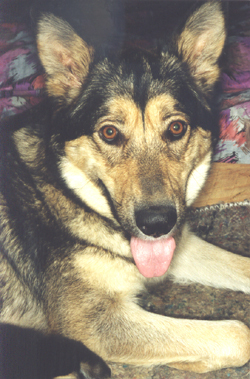 There is no valid reason for keeping a wolf as a pet and then to wonder why they lose their shyness of humans. To lock a wild animal up is animal abuse. Again a wolf had to pay with his life for human stupidity. Research has become a foreign word to many journalists, and one-sided reporting has priority. This is a dangerous development in the media world that can only be balanced with continuous disproof of intentional fake news. And here an open letter from us to the Stuttgarter Zeitung (Stuttgart newspaper). To finish a project, initiated by our member, Volker Vogel, that is supposed to become the counterpart to such nationalistically reports, we still need to collect Euro 15.000; we already got 1/3 of the money needed from donations. Please help us to achieve this project, which is very close to our hearts, by donating any amount to this fund. USA: Does the 2019 Appropriations Bill Target the Mexican Gray Wolf? In any case, we must keep an eye on that rider and fight to remove it from the bill! If you live in the USA, then please write to your Congress representatives and tell them to ensure that this dangerous rider does not make it into the passed bill! 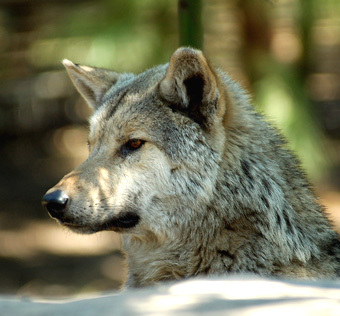 The fate of the Mexican Gray Wolf might depend on it! 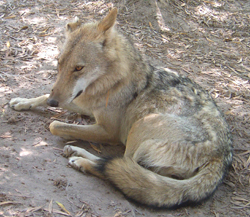 activities in the Mexican Wolf Experimental Population Area (MWEPA) in Arizona, including the Fort Apache Indian Reservation (FAIR), San Carlos Apache Reservation (SCAR), and New Mexico. Additional Project information can be obtained by calling (928) 339-4329 or toll free at (888) 459-9653, or by visiting the Arizona Game and Fish Department website at www.azgfd.gov/wolf or by visiting the U.S. Fish and Wildlife Service website at www.fws.gov/southwest/es/mexicanwolf. For information on the FAIR call (928) 338-4385 ext. 226 or visit www.wmatoutdoor.org. On May 31, 2018 the USFWS published in the Federal Register its intent to conduct a 5-year status review under the Endangered Species Act of 1973, as amended, of 38 animal and plant species. 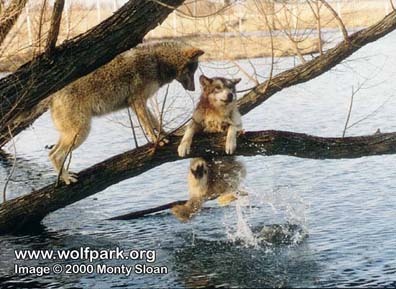 The Mexican wolf is included as one of the species under review. Section 4(c) (2) (A) of the Endangered Species Act requires the USFWS to review each listed species’ status at least once every 5 years. A 5-year status review is based on the best scientific and commercial data available at the time of the review; therefore, the USFWS is requesting submission of any such information that has become available since the last review for each of the 38 species. Please see the Federal Register notice for more information here. In May, the IFT documented the Bluestem Pack in the pack’s traditional territory in the east central portion of the ASNF. Yearling f1686 exhibited behaviour and movements suggesting that that animal may be dispersing. 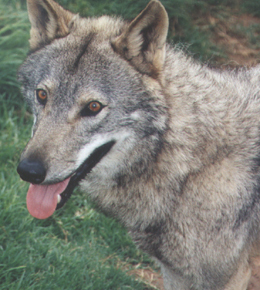 The IFT initiated a diversionary food cache in a proactive effort intended to reduce potential for wolf-livestock conflict. In May, the Elk Horn Pack was located within their traditional territory in the north-eastern portion of the ASNF. The IFT maintained a supplemental food cache near the den as part of the cross-foster effort and to reduce the potential for wolf-livestock conflict. The Elk Horn Pack continued to display behaviour in May consistent with denning. In May, the Hoodoo Pack was located within their traditional territory in the north-eastern portion of the ASNF. The IFT maintained a diversionary food cache to reduce potential for conflict. The Hoodoo Pack displayed behaviour consistent with denning within their traditional territory during May. In May, the IFT documented the Panther Creek Pack in their traditional territory in the east central portion of the ASNF. AF1339 was found dead in May. The incident is under investigation. After the mortality, AM1382 was documented travelling alone. Sub-adult m1574 continued to travel alone and is now considered a single animal. At the end of May, the pack consisted of only AM1382. In May, the Pine Spring Pack was located within their territory in the north central portion of the ASNF. The IFT continued to maintain a diversionary food cache on the ASNF for this pair to reduce potential for wolf-livestock conflict. The Pine Spring Pack displayed behaviour consistent with denning within their territory during May. 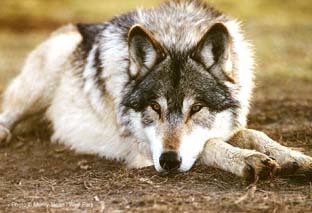 In May, the IFT documented the Prime Canyon Pack travelling within a territory in the east central portion of the ASNF. AF1488 exhibited behaviour and movements consistent with denning. The IFT initiated a diversionary food cache for this pack in a proactive attempt to reduce the potential for conflict near residences. In May, the Saffel Pack was located in their territory in the north-eastern portion of the ASNF. The Saffel Pack displayed behaviour consistent with denning within their traditional territory during May. In May, F1550 of the Hoodoo Pack had localized in the east central portion of the ASNF and has been consistently documented travelling with M1571 formerly of the Diamond Pack. In May, the IFT documented F1489 travelling in the north and east central portion of the ASNF. In May, the IFT documented M1574 travelling in the east central portion of the ASNF. In May, the Baldy Pack was documented travelling in the eastern portion of the FAIR and the north central portion of the ASNF. In May, the Tu dil hil Pack was documented travelling in the eastern portion of the FAIR. 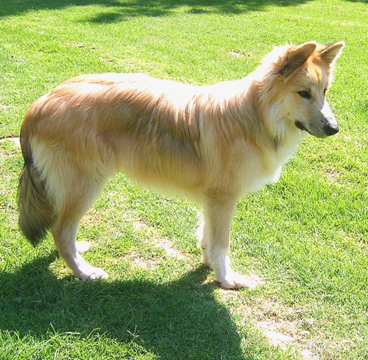 During May, the Copper Creek Pack was not located. Currently there are no functioning collars in this pack. Single M1673 was documented travelling within the Copper Creek territory in May. The IFT is monitoring M1673 to determine if it is travelling with the Copper Creek Pack. During May, the Dark Canyon Pack was documented travelling together within their traditional territory, in the west central portion of the Gila National Forest (GNF). In May, the IFT, cross-fostered two wild-born pups (one taken from the Iron Creek Pack and one taken from the Lava Pack) into the Dark Canyon den subsequent to cross-foster events of genetically valuable pups from captivity into both the Iron Creek and Lava Packs. One pup from each den was removed during the cross-foster to reduce the litter size in an effort to increase chance of survival for the captive born pups. During May, the Datil Mountain Pack continued to travel in the western portion of the Cibola National Forest (CNF). The Datil Mountain Pack showed signs of denning in early May, however, leading into mid-late May behaviour was no longer consistent with denning. 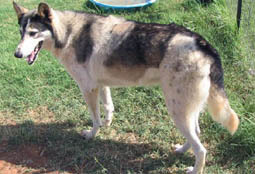 In May, the Frieborn Pack was documented within their territory in the east central portion of the ASNF in New Mexico and Arizona. The IFT maintained a food cache near the den as part of the cross-foster effort and to reduce the potential for wolf-livestock conflict. 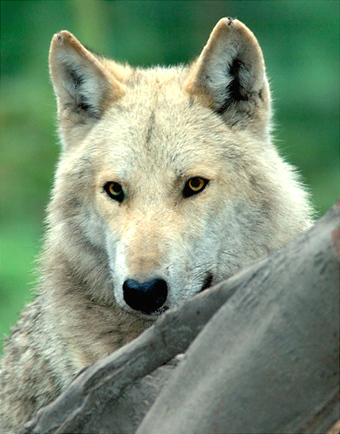 The Frieborn Pack continued to exhibit behaviour and movements consistent with denning. During May, the Hawks Nest Pack continued to travel in the north central portion of the GNF. The pair is now considered the Hawks Nest Pack. The Hawks Nest Pack showed signs of denning in April, however, leading into mid-May they have failed to show behaviour consistent with denning. During May, the Lava Pack was located within their traditional territory in the south-eastern portion of the GNF. 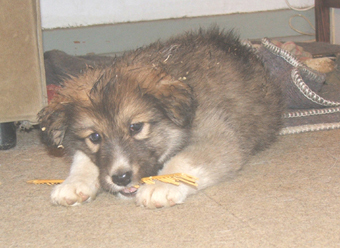 The IFT cross-fostered two pups from the Endangered Wolf Center into the Lava den in May. 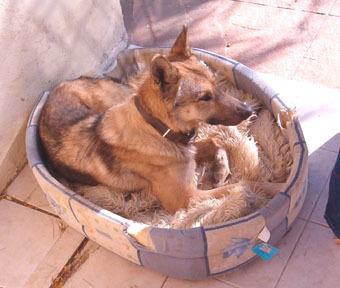 One wild born pup was removed to reduce litter size and increase the chance of survival of the genetically valuable pups. 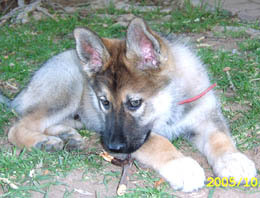 The Lava pup was subsequently cross-fostered into the Dark Canyon pack den. During May the Mangas Pack was located within their territory in the north-western portion of the GNF. 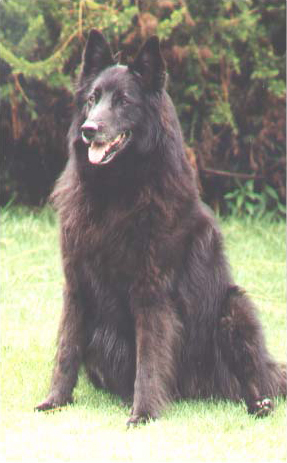 The Mangas Pack displayed behaviour consistent with denning within their traditional territory. The IFT maintained a diversionary food cache for the Mangas Pack to reduce potential for livestock conflict. The IFT captured, collared and released a previously uncollared juvenile female wolf (f1705). During May, the San Mateo Pack continued to utilize their territory in the north central portion of the GNF. The IFT documented behaviour consistent with denning for the San Mateo Pack in late April and documented a minimum of 6 pups in May. During May, M1486 travelled throughout the northern and central portions of the CNF. During May, M1673 travelled throughout the southern portion of the GNF, largely within the Copper Creek Pack territory. There are no project personnel updates for the month of May. 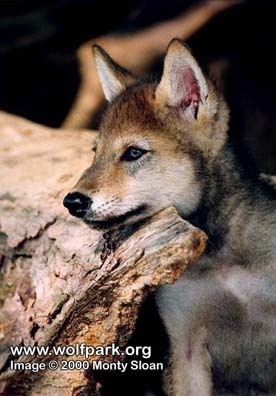 Red wolves are found only in America. They are one of the country’s most endangered species. There are as few as 30 of them left in the wild. The U.S. Fish & Wildlife Service (USFWS) should be redoubling its efforts to save them from extinction. Instead, they announced last week that the agency would if they wander out of the one wildlife refuge they’ve got. The USFWS’ proposal would remove all but 10 to 15 wolves from the wild and limit their recovery area (the habitat they can safely traverse) by a staggering 90 percent. Wolves that cross these invisible boundaries could be killed without any consequences. The killers wouldn’t even have to pick up the phone to let USFWS know. Red wolves are under the greatest threat they have faced in decades and it is at the hands of the agency in charge of preventing their extinction. Take action to stop this plan when you submit your comment today to protect endangered red wolves here educe the recovery area for critically endangered red wolves by 90 percent and remove nearly all of the remaining 30 red wolves from the wild. On top of that, they will now allow poachers or anyone with a gun to kill these wolves if they cross an invisible line and wander outside of the recovery area. The USFWS does not even require that the poacher notify them. Their plan is a disaster and will almost certainly cause these wolves to become extinct in the wild. The USFWS is accepting public comments on this revised plan through July 30th. Please submit your comment opposing this betrayal of endangered wolves and the Endangered Species Act today. Scientists and wolf experts within the government presented the USFWS leadership with multiple scientifically-sound options to bring these wolves back. Instead of considering plans that would have increased the recovery zone or brought more captive-bred wolves into the wild where they can bolster those populations, Ryan Zinke and his political appointees raised the white flag of surrender and are walking away from their responsibilities under the Endangered Species Act. On Sunday Limpopo police announced that the police in Rust De Winter in the Bela-Bela policing cluster have launched a manhunt for unknown suspects who killed six lions at a local game farm. “It is alleged that an employee at the farm was on his way to work when he noticed bloodstains on the farm, followed by the gruesome discovery of four lions dead with their heads and paws chopped off. The other two lions were also dead but with no missing body parts,” Colonel Moatshe Ngoepe said. Preliminary police investigations indicated that the lions might have been poisoned, and a pair of trousers with blood stains and takkies were also found at the scene. The suspects in this matter were unknown and no arrests had yet been made, Ngoepe said. Anyone with information about the suspects involved should contact Colonel Alpheus Mokale at 082-565-6524, or the crime stop number 08600-10111 or the crime line sms 32211, or the nearest police station. We are in urgent need of donations in order to continue our work. If you can and wish to make a donation – please respond to this email with the subject line “I WISH TO MAKE A HELP ZCTF” and we will send instructions. Thank you and God Bless. A two-year-old gray wolf believed to be the offspring of the famed OR-7 was tracked on Friday to the Truckee area in Nevada County, not too far from Lake Tahoe, but it was only just a short visit. California Department of Fish and Wildlife officials said the gray wolf, known as OR-54, has since returned to neighboring Sierra County. Still, her trip to Nevada County was the first known visit of a gray wolf to the region, the farthest south, since the early 1900s. And where she turns up next is anybody’s guess. Although it’s not known what is motivating her journey, she could be in search for a mate or is being driven by the availability of food, or she was just born to be wild and has the itch to be out on her own and explore region’s unknown to her. The female gray wolf, which was collared last fall, was located late last week about a mile and a half from Interstate 80 near Boreal Mountain, which means she travelled at least 638 miles through five California counties. It’s believed the gray wolf is one of OR-7’s daughters and has been generally covering a lot of the same territory her father did in 2011 through 2013. 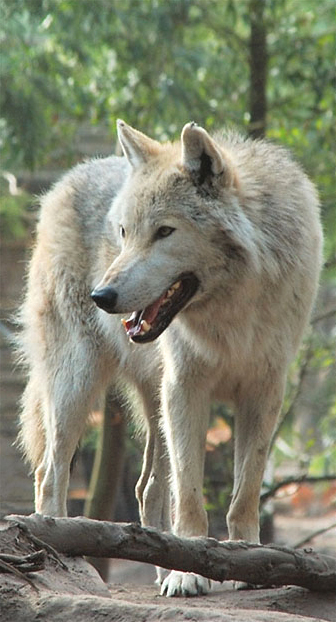 OR-7, the first gray wolf in California since 1924, was first spotted in the North State in December 2011. He eventually settled back in southern Oregon, where he and a female gray wolf established what’s called the Rogue Pack and have raised litters every year since 2014. 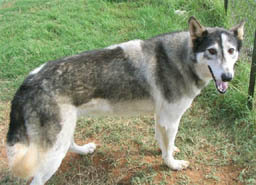 Since his travels, other wolves have since been found in California, some of which are from OR-7’s pack. Another collared wolf from Oregon, known as OR-44, has been found in eastern Siskiyou County, but he is not related to OR-7 or his offspring. And his movements have been difficult to track because his collar has battery problems. News of OR-54’s travels throughout Northern California was met with delight by officials from the Tucson, Arizona-based and nonprofit Center for Biological Diversity. While he is drinking he looks at his reflection and contemplates what he sees Although he is older his heart is still young and in his eyes you can still see the glint of the youth that wants to play and run through the country without a care in the world. As he moves on his mind returns to his ever growing hunger and he must begin his hunt, He travels on and soon comes to the top of a tall mountain and he searches for a sign to show him the way but as he looks out over the land he sees nothing to help him in his quest. Above him as the clouds move in the night sky he sees what he is searching for. Although she is far away he has traveled far before and as the sky clears and the stars emerge she shines brightly like a beacon in the night and he walks in her light once more. In his voice a song of a new found friend now fill the woods. Although he travels alone most times and draws strength from his independence the chance meeting of kindred spirit has elated his soul. As they get to know each other better he sees in her a jumble of mixed emotions and knows that her mind and soul are troubled and wants to help her sprit mend. He listens as she tells him of the obstacles that block her happiness. He hears her spirit yearn for a simpler life.